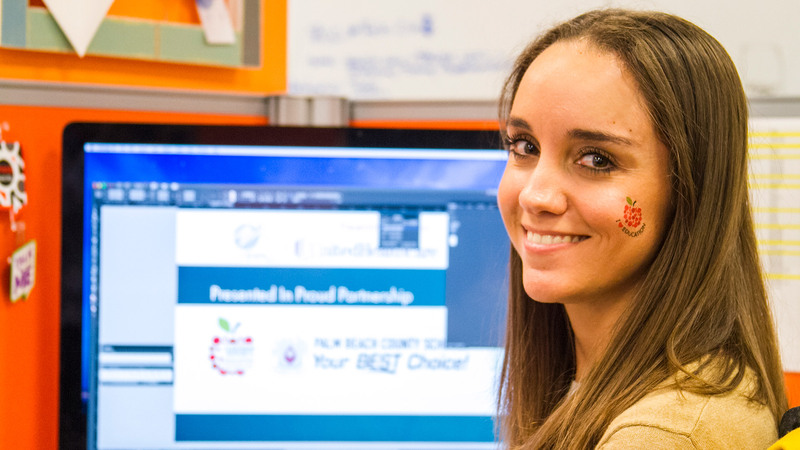 The Education Foundation of Palm Beach County had a dated logo with one redeeming element: a red apple, easy recognized as a symbol of education. When O’Donnell Agency was retained to rebrand the organization, our creative team chose to build upon the equity of the red apple, acquired over decades, and modernize it. The new logo reflects the effervescence, inspiration and fun that should be part of every child’s educational experience. The dots of differing shades also represent the variety of educational assets available in Palm Beach County, and the spirit of inclusion welcomed by children from over 200 nations who attend local schools. A modern yet classic, sans serif font brings the look current with today, and will sustain it through the coming years.